Cindy Pynadath, DO, is a Transplant Nephrologist at Montefiore and an Assistant Professor of Clinical Medicine at our Albert Einstein College of Medicine. She joined the Montefiore team in 2017 with a clinical focus on the evaluation of kidney living donor candidates and kidney transplant recipients. She is also involved in the management of routine care in kidney transplant patients as well as complications after transplant including infections and rejection. She is additionally interested in the management of kidney complications in other solid organ transplants. Dr. Pynadath attended Kent State University and received her Bachelor of Science in 2003. Following this, she earned her Doctor of Osteopathic Medicine at Ohio University College of Osteopathic Medicine in 2009. She began her postgraduate training in 2009 with a 3-year residency in Internal Medicine at the Cleveland Clinic Foundation. Her Fellowship training continued at the University Hospitals Case Medical Center. During her time there, she completed a Specialty Fellowship in Nephrology in 2014, followed by a Subspecialty Fellowship in Transplant Nephrology in 2015. 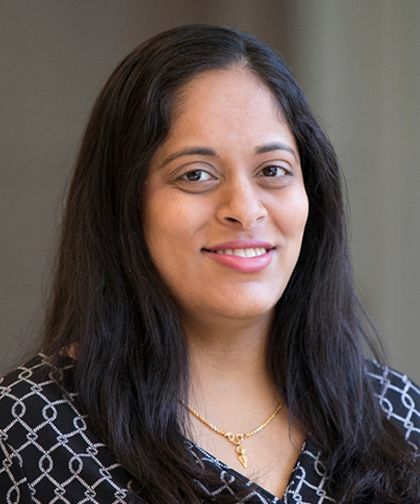 Dr. Pynadath’s current research interest in Transplant Medicine explores its connection to infectious disease and metabolic disorder, as well as the clinical outcomes in kidney transplant. Her work collaborations have been published in a number of journals, as well as presented at an international meeting. She continues to pursue her research interests. In 2011, Dr. Pynadath was the given the Caregiver Celebrations Appreciation Award for exemplary clinical and patient care, awarded by the Cleveland Clinic Foundation. She is board certified by the American Board of Internal Medicine and is a member of numerous professional societies, including the American Society of Transplantation, the American Society of Nephrology, the American Medical Association, and the American Osteopathic Association.